Are you facing a fluidic challenge in the field of sanitary or burner technology? Yes. Then discover a variety of possibilities. We support you - no matter what your fluidic challenge looks like. 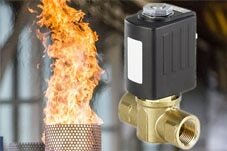 Experience live our wide portfolio of solenoid valves and system solutions for sanitary and burner technology. As a partner for application-specific products and tailor-made system solutions, we help you with selection and engineering as well as service, maintenance and commissioning. 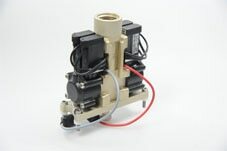 Our low-impact valves with various connection options and housing materials as well as national and international approvals ensure reliable operation. Also discover designs for media containing particles or high pressures. Together with you, we develop an individual, plug&play system solution consisting of solenoid valves and other components that exactly meets your requirements. You can also benefit from simple installation and commissioning. 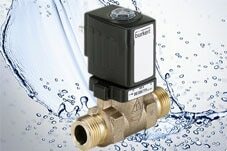 Our gas solenoid valves, which are approved in accordance with the new Gas Appliances Ordinance (GGVO) and DIN EN 161, and our oil solenoid valves, which operate in accordance with DIN EN ISO 23553-1 and DIN CERTCO, ensure particularly safe and reliable operation. You do not yet have an ISH admission ticket?